The static material that used to appear at the bottom of this page has been relocated to the Welcome page. This page displays the most recent posts in the Home category: older posts can be found in our Posts archive. As the deputy stage manager ‘on the book’, Alison Pendlowski, is frequently asked, “What does the show look like?” or “How is the show going?”. Click the image to read her reply. And do get in touch if you fancy being ‘on stage, but not on stage’ as part of our hard-working production team. 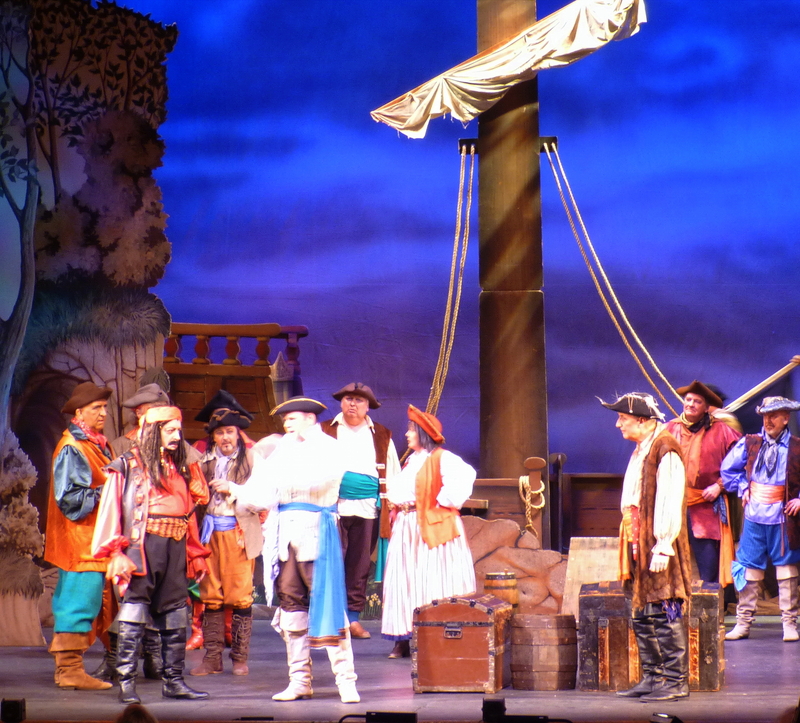 Have you noticed that our right-hand column “Next appearance” is a Pirates of Penzance Summer Singalong on Friday 21 June? “Singalong” does what it says on the tin, which is to allow everyone to participate. But you don’t have to wait until June, because you’ll be very welcome to come to the rehearsals as well – we “know the value of a kindly chorus”, as Ralph Rackstraw puts it in HMS Pinafore (next year’s main show … hint, hint!). Our first rehearsal is at 7.30pm on Wednesday 20 March at Whitefield Day Hospital, Queen Margaret Hospital, Dunfermline (some directions are at http://tinyurl.com/ctayy9.). Anyone who would like to sing with us is encouraged to attend this preliminary rehearsal, after which Willie Campbell, our MD for the Singalong, will be able to decide how many rehearsals are needed and when they will be, the aim being maximum enjoyment from minimum slog! Do please come along, and bring a friend – whether a tame pirate, or one of Major-General Stanley’s daughters, all will be made welcome. … the curtain has come down on the final performance … Sir Marmaduke has issued his final invitation to another feast … John Wellington Wells has time to get his breath … Lady Sangazure can shed those terribly hot furs … Charlie Chaplin has enjoyed his last flirt with the bridesmaids … and the Ploverleigh air is no longer “charged with amatory numbers”. 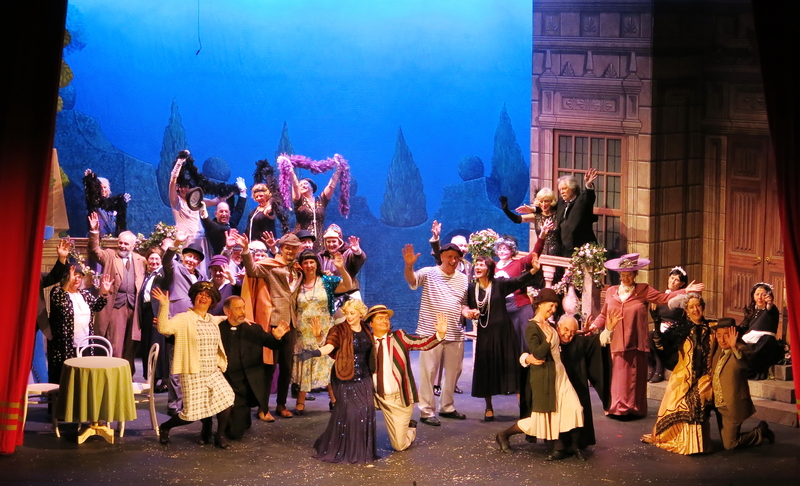 The cast enjoyed the show and the audience were enthusiastic. 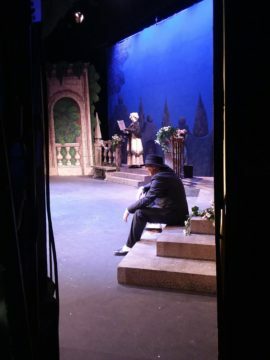 But all is now just memory (though you can access the programme at this link and find out how Charlie Chaplin came to be in a G&S chorus-line), and we’ll all have to wait until June for the next chance to hear our Society in action. Thank you to everyone who made this show such a success.